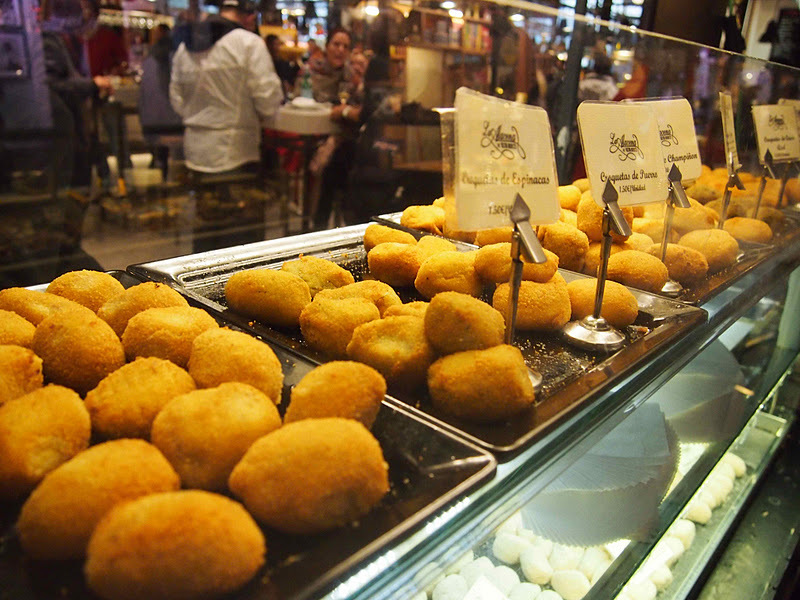 Eating tapas at the Mercado San Miguel is like showing up to a really fancy cocktail party with bites of beautiful food everywhere. I can't count the number of times I uttered the word in cute in a span of five minutes. I love cute things, but I love them MORE when they are edible. 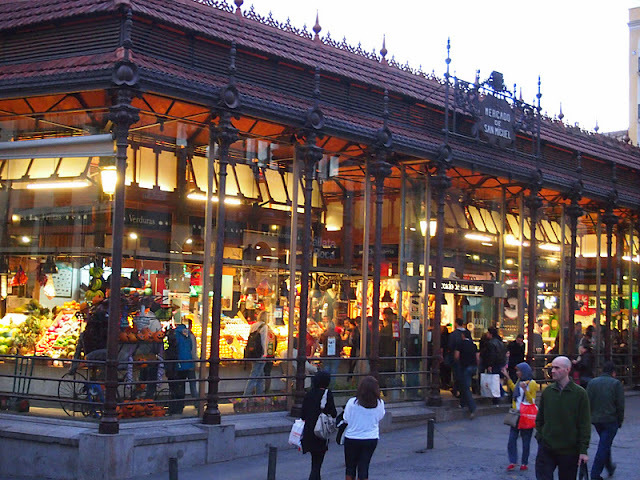 This historic market is a must-do for any food lover and has been in place since 1916. The recent renovation however is a stunning mix of modern glass with the old metal structure. 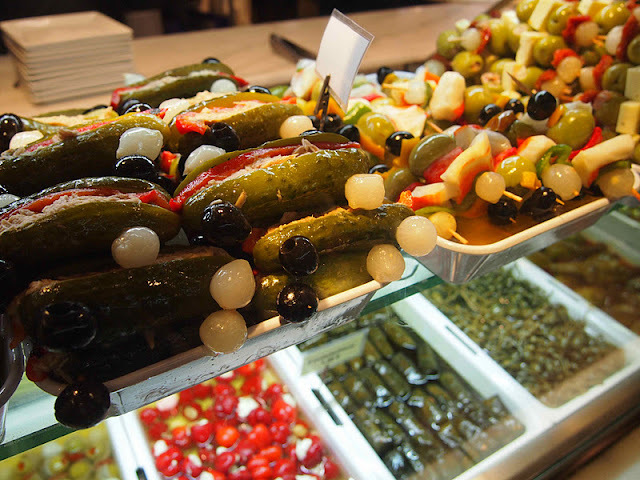 One of my favourite stalls was the olive bar with skewers of stuffed olives, pickles, onions and sun-dried tomatoes. 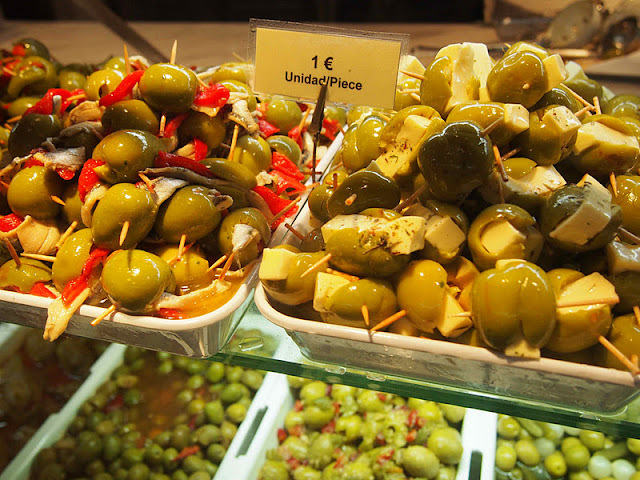 The olives were stuffed with cheese and threaded alongside roasted red peppers for just one Euro. The fancier skewers with sardines, mussels and various seafood ran about two Euros a piece. Anything you could do with an olive, they have done here. 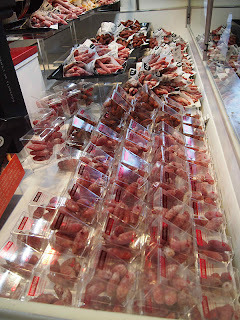 We loaded up on olives and hopped over to the cheese bar next door for our fill of Manchego slices at 1.50 Euros each. Long marble cruiser tables were set up in the centre for grazing. 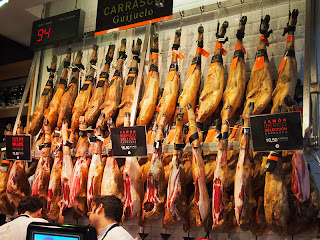 The great thing is, if your Spanish is as terrible as mine - you can simply look and point as everything is on display with prices posted. Don't forget to set up shop properly and enjoy your nibbles with a glass of cava, Rioja wine or ice cold sangria for only three to five Euros. 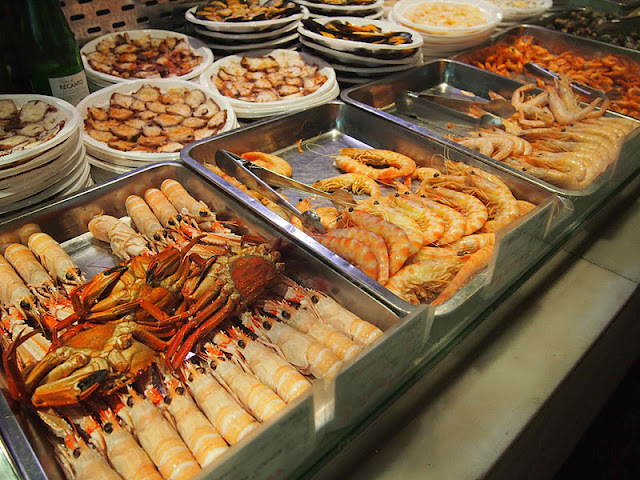 Everything is served in a proper glass, with real cutlery and plates - no point in wasting a million paper plates and creating mountains of trash when the market simply hires dishwashers and bussers to clear after you are done. Brilliant. The stuffed tortilla shell at the back was filled with tuna, I can't say it was my favourite as there was nothing too spectacular about this. 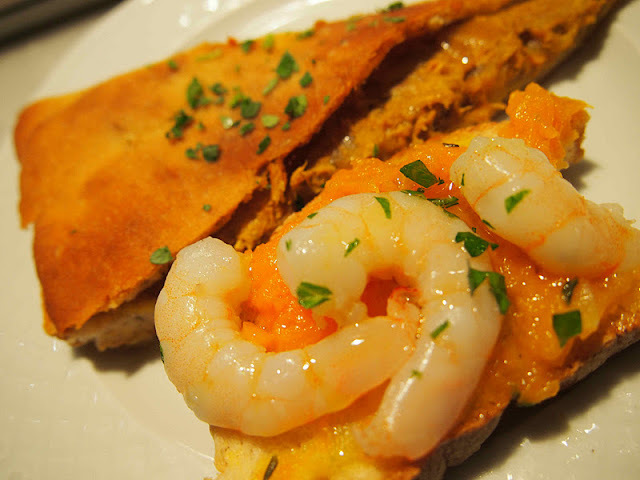 However, it's crostini cousin next to it was slathered with mashed squash and topped with three juicy pink shrimps and sprinkled with green onion. 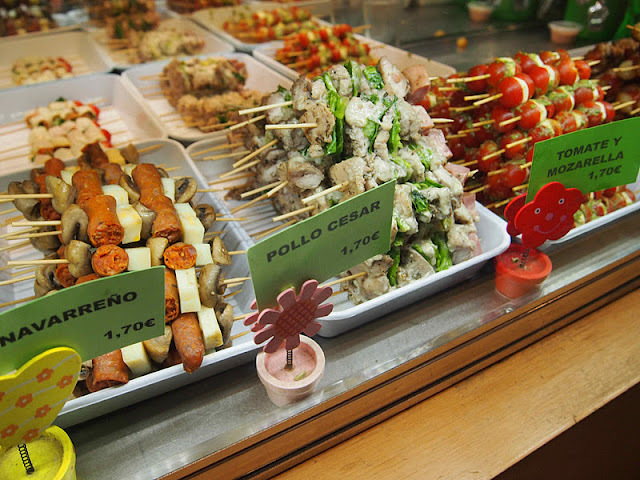 I love how the Spanish takes food presentation very seriously. 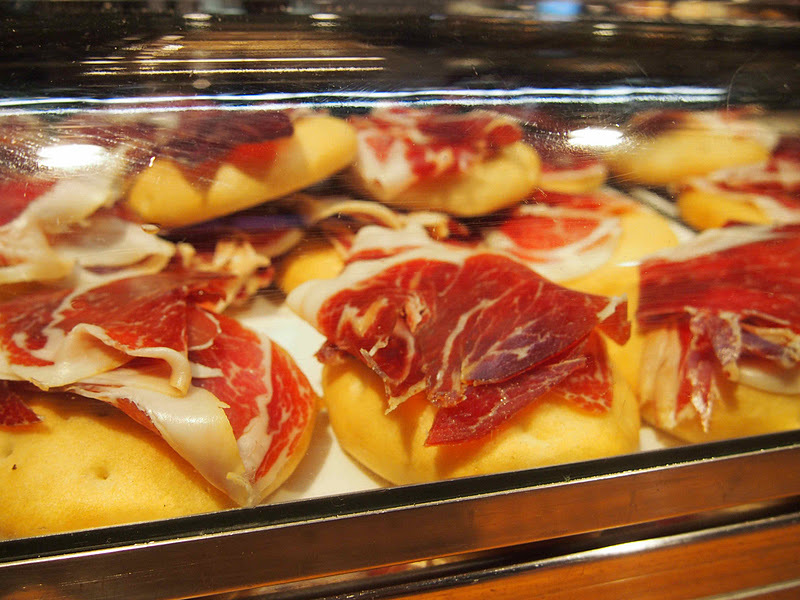 Spanish ham on bread for only two Euros! 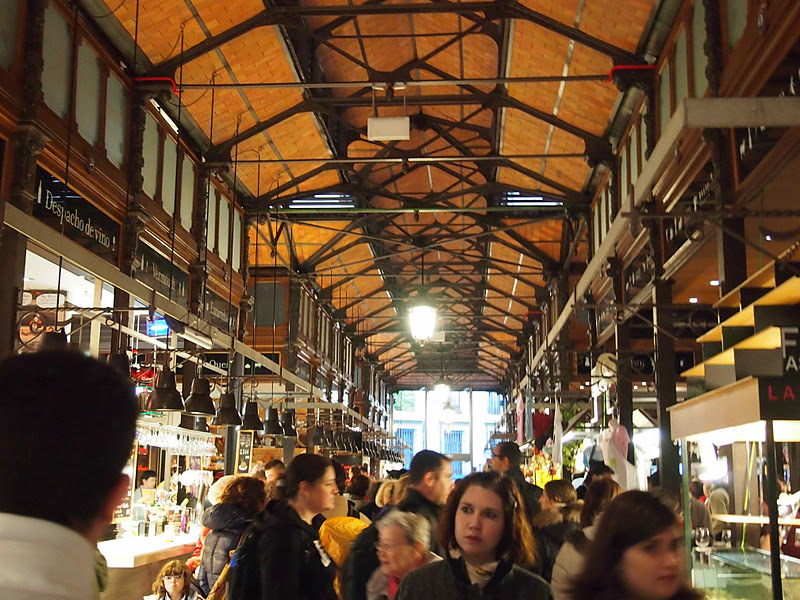 The best time to visit the Mercado San Miguel is between 2-4 pm when the city is in siesta mode and you don't have to eek your way through the crowds. 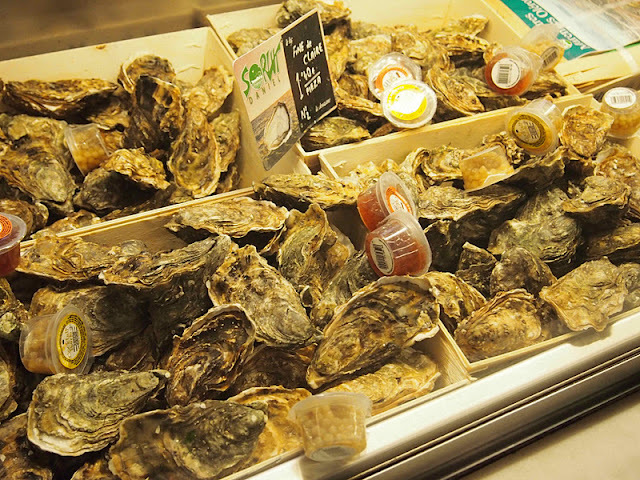 The busiest day is Saturday and evenings are impossible to navigate through, as the market consists of four aisles with 33 shops and minimal seating. Dinner time is late in Madrid and restaurants typically do not open until 8 pm. The market is open until 10 pm Sun-Wed and until 2 am all other nights. It's a city full of night owls and I feel right at home here. Iberico ham is hand-sliced without the aid of an industrial deli machine. 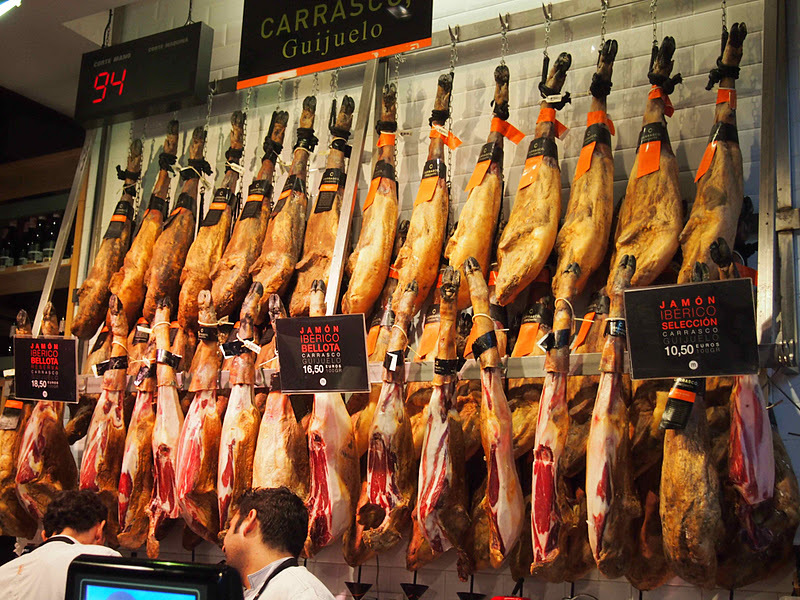 It's an art form watching them carefully pull each piece off the leg. The deli here also sold little pepperette type sausages for snacking. 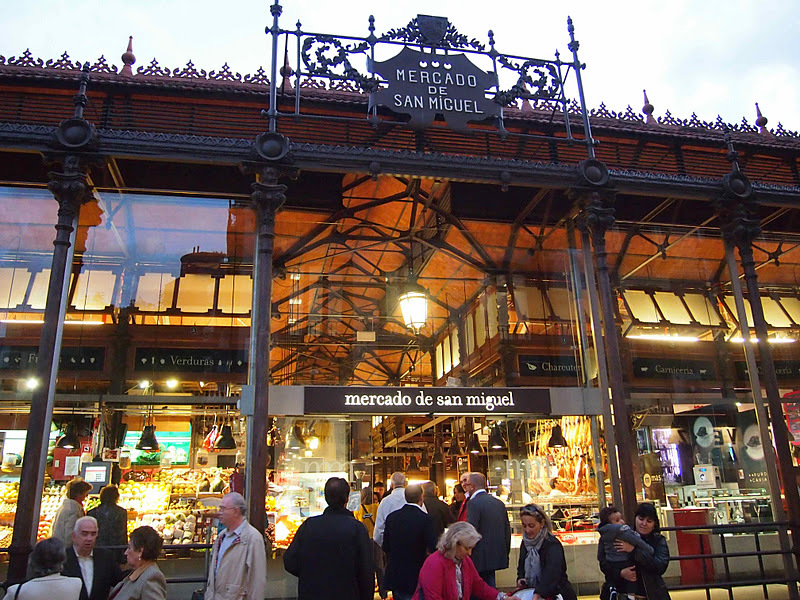 A visit to Madrid is not complete without a visit to The Mercado de San Miguel. I recommend making it your first stop and exploring the winding cobblestone streets that surround it. 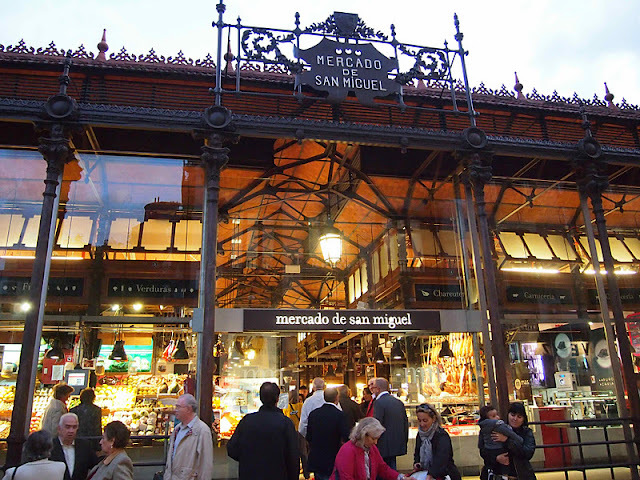 Thinking of visiting Madrid? Read more from our Travel Series HERE! 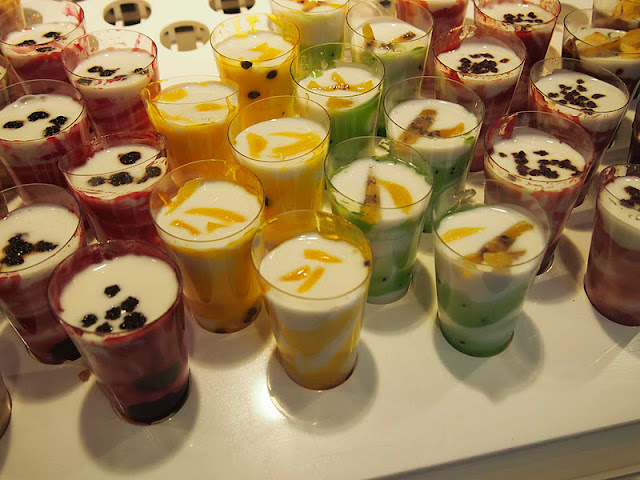 Oh my gosh - everything looks SO delicious! !